An unusual post for us here at Radio Days, maybe. 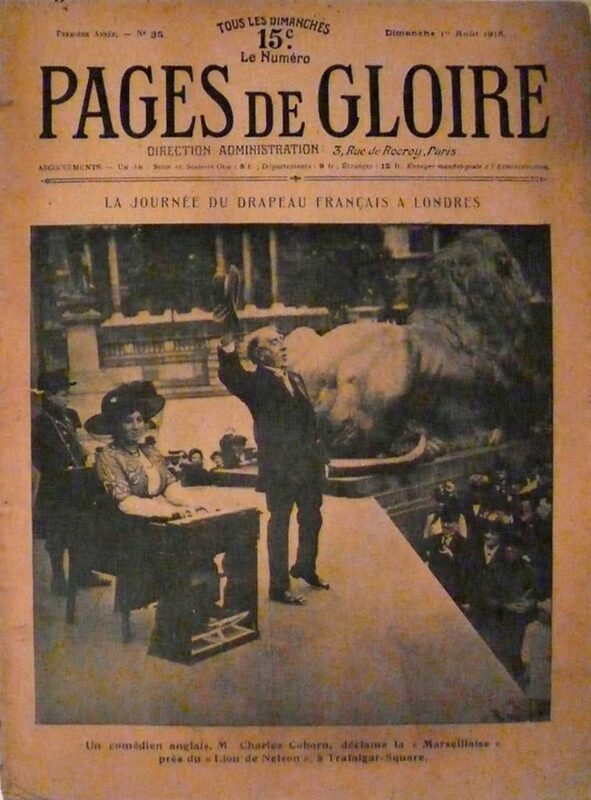 Some weeks ago we acquired a copy, dated 1st August 2016, of Les Pages de Gloire, featuring on its cover one of our favourite music hall singers Charles Coborn performing la Marseillaise in Trafalgar Square. Although I’ve French publications from that period, most notably a more of less complete set of Fantasio for the Great War years, I’d not come across Les Page de Gloire until now. So, commemorating the centenary of the Battle of the Somme and as further evidence of our curator’s irrepressible nerdiness, Radio Days is now proud to present a tableau of selected covers of that publication for the rest of the year 1916.